On February 23, 1866, the greatest persecution in Korean Catholic history began, following the arrest of Siméon-François Berneux, the fourth Bishop of Korea, and Hong Bong-ju. 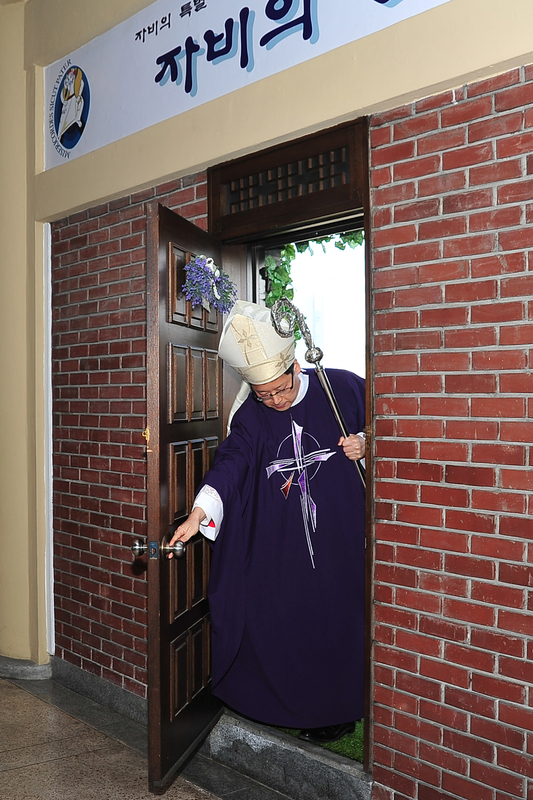 Now 150 years after the tragic persecution, the Archdiocese of Seoul has proclaimed the year 2016 as “Year of Commemoration for the 150th Anniversary of Byeongin Persecution.” As part of the celebration, Holy Doors of Mercy were opened on Feb. 23 at three martyrs’ shrines where the martyrs breathed their last breath during the persecution—Jeoldusan Martyrs Grounds, Saenamteo Martyrs’ Shrine, and Yakhyeon Catholic Church. On the same day at Myeongdong Cathedral, the Opening Mass for the Year of Commemoration was celebrated by Cardinal Andrew Yeom Soo-jung. “Comparing with the Catholics 150 years ago, our faith today seems weaker despite all the religious freedom we have. That is why we must remember our ancestors of faith, who kept their faith even in the worst and most painful situations,” said Cardinal Yeom in his homily. While Cardinal Yeom and Bishop Basil Cho Kyu-man celebrated the Mass in Myeongdong Cathedral, Bishop Timothy Yu Gyeong-chon presided over the Mass in Yakhyeon Church, Bishop Peter Chung Soon-taek in Saenamteo, Bishop Benedict Son Hee-song in Jeoldusan. The four Holy Masses began at the same time, 2:00pm. About 1,500 to 2,500 people gathered at each place to participate in the Holy Mass. In the martyrs’ shrines, most people couldn’t even enter the church due to the unexpected crowd.